After Employment (BASE) training program at Don Bosco Tech, Bindwara. 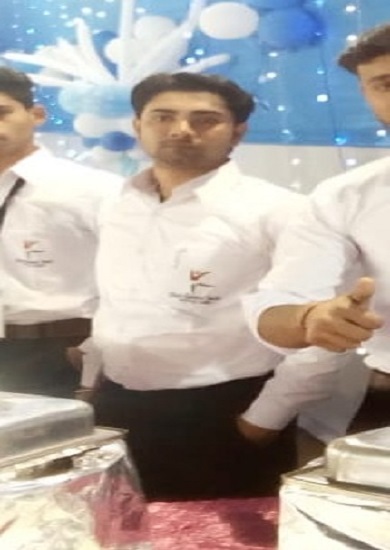 Hailing from completing his intermediate, Mr. Gunjan Kumar joined the Bosco Academy for Skills and a weak financial background, his immediate necessity was to get a job that would support his family. His father is working in a private company. His mother is a house wife. He was a simple and confidence boy, but he does not have any goal in his life. He grabbed all the opportunities in the center. The skills that he sincerely nurtured during the course paved the successful way for Gunjan Kumar’s career. After the completion of course, he was selected as a Steward in Munger. He has some hope that he will achieve a good position with his best work skills and experience. He is indeed contented in his new job. Gunjan Kumar expressed his deepest sentiments of gratitude to his trainers and friends at Don Bosco Tech. It is really the best thing for his life to prove himself in the society. Now he is able to maintain his family and hope very soon his dream will come true.